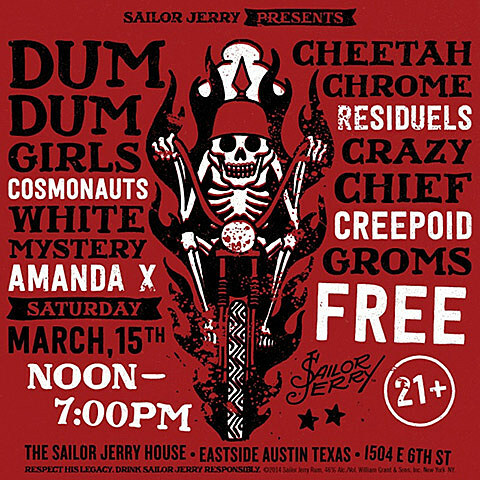 The Sailor Jerry House will be set up at 1504 E 6th St from March 11 – 15, with such artists as Dum Dum Girls, Coachwhips, King Dude, The Coathangers, Fat White Family and many more playing over the course of the week. 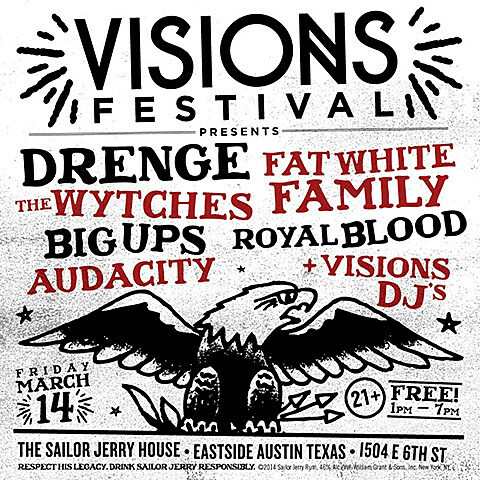 In addition to the music, there are food trucks, a bloody mary bar, spiced rum drinks, and they’ll be once again giving free tattoos (noon – 6 PM and then 8 – 10 PM, first come first served). 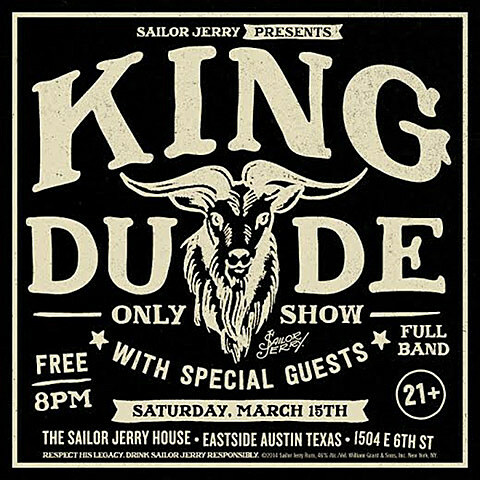 The shows are free but you do need to RSVP. Line-ups for all the shows are listed below. 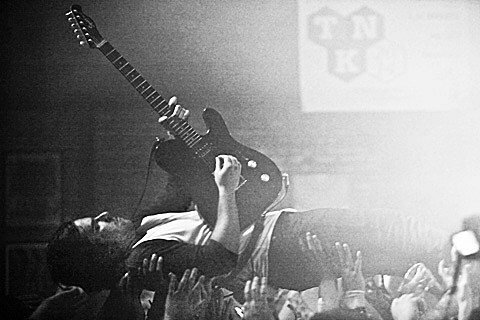 The Thursday (3/13) show is Black Bell Records’ “Blackout Ball,” an all-day onslaught featuring Diarrhea Planet, The Garden, The So So Glos, Lovely Bad Things and more. 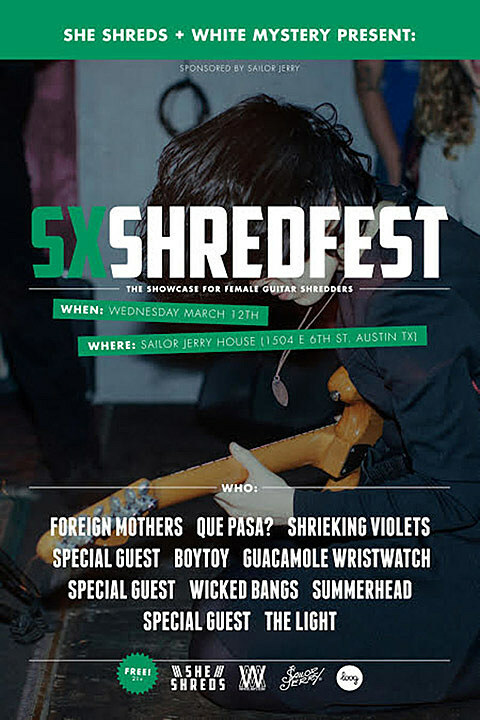 There will be free mixtapes — as in actual cassettes — of all the artists playing given out at the show. They’re only making 200 of them but you can stream the whole thing right now in this post.